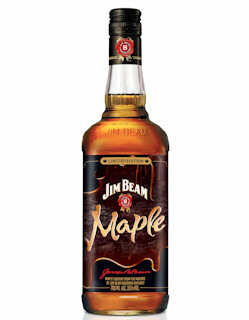 The world’s number one bourbon, Jim Beam® Bourbon, has launched a new limited edition marque, Jim Beam® Maple. Exclusively available in Tesco stores and selected bars, Jim Beam Maple is the latest innovation from the famous Kentucky distillery. This follows the release of Jim Beam® Honey, which was the first honey infused American Whiskey to hit the UK in 2012. For those looking for a smooth whiskey experience with a twist, be sure to try this special edition before it sells out. This new flavoured addition, bottled at 35% ABV, is the first maple infused bourbon to go on sale in the UK and is set to delight whiskey lovers with its unique flavour. Deep amber in colour, this new bourbon boasts natural sweet and smooth maple flavours, presenting a perfect balance of aromas: a deep nose of caramel, oak, cinnamon and vanilla. On the palate, the taste comprises a hint of charred oak complete with a subtle and smooth caramel, with a deliciously light caramel finish. Jim Beam Maple can be enjoyed straight up, on the rocks or in a cocktail. For recipe inspiration try the Maple Sour: a contemporary twist on the famous serve which is smooth in texture, refreshing in taste, and super easy to make. 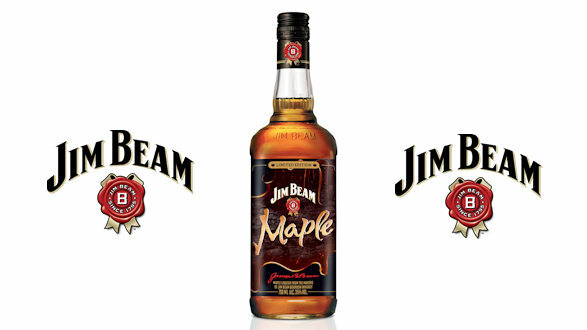 Jim Beam Maple is available now at Tesco stores nationwide, while stocks last, RRP £19.84. The newest addition to Jim Beam’s current UK portfolio, Jim Beam Maple joins Jim Beam White, Jim Beam Honey, Devil’s Cut and Red Stag by Jim Beam.